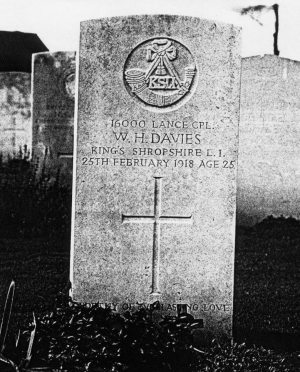 WILLIAM HENRY DAVIES (No: 16000) was born in Leebotwood and was living there when he enlisted in Shrewsbury into the KSLI. He was killed in action on 25 February 1918, aged 25, whilst serving with the 7th Battalion as a Lance Corporal in the Croiselles area between Arras and Bapaume. 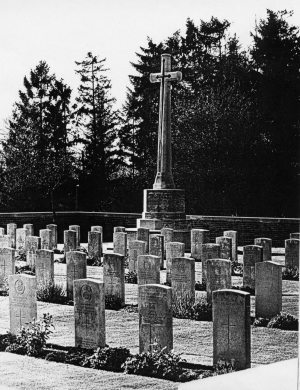 He is buried in the Communal Cemetery Extension at Boyelles (Pas de Calais).